A startup called Imperfect wants to sell you "ugly" produce that competitors throw away. Imperfect produce costs 30-50% less than traditional supermarket produce. Image via ImperfectProduce.com. There’s a lot of profit in being ugly. Well, at least if you are a fruit or vegetable. That’s what startup “Imperfect” is hoping, anyway, as it begins to sell consumers “cosmetically challenged” fruits and vegetables later this summer. The premise is simple: each year, six billion pounds of produce is thrown away because grocery stores don’t want to line their aisles with ugly or unappealing produce. And they don’t want to line their aisles with ugly or appealing produce because most customers simply won’t buy it. As such, if a fruit or vegetable is oddly shaped, scarred, or discolored, it usually ends up in the dumpster. That’s a shame, Imperfect thinks, because almost all of that produce is perfectly fine to eat. In fact, it’s just as safe, nutritious, and delicious as its good-looking counterparts. 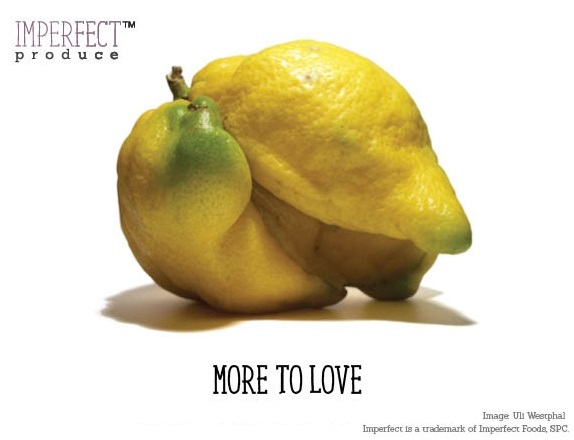 Imperfect now wants to sell that produce to customers who don’t care whether their fruits or vegetables look a little funny. In fact, the Bay Area startup will deliver a box of the produce right to your door. And because the produce would otherwise be unsellable, it’s usually much cheaper than what you would buy in a grocery store. Imperfect fruits and vegetables cost 30%-50% less than traditional supermarkets. “Farmers benefit because they get extra income from produce that previously went to waste. [Customers] benefit by getting produce at a much lower cost than you could at a grocery store. And the environment benefits because of reduced methane emissions,” the company says. Unfortunately, eager produce lovers may have to wait awhile before signing up for the service. For now, Imperfect is starting small, and its doorstep delivery service will only be available in Berkeley and Oakland, California. But it also has other plans. 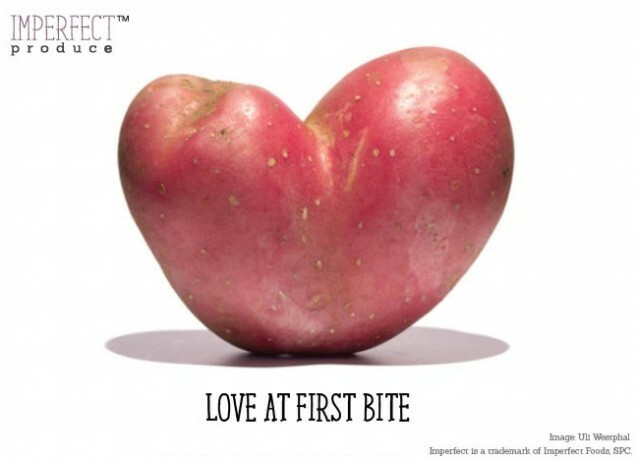 Soon, Imperfect will partner with grocery stores to set up special displays for “cosmetically challenged” fruits and vegetables in their produce aisles, alongside their better-looking (and pricier) counterparts. It’s also in talks with a major West Coast retail chain (which prefers not to be named) to set up a pilot program aimed at low-income consumers. 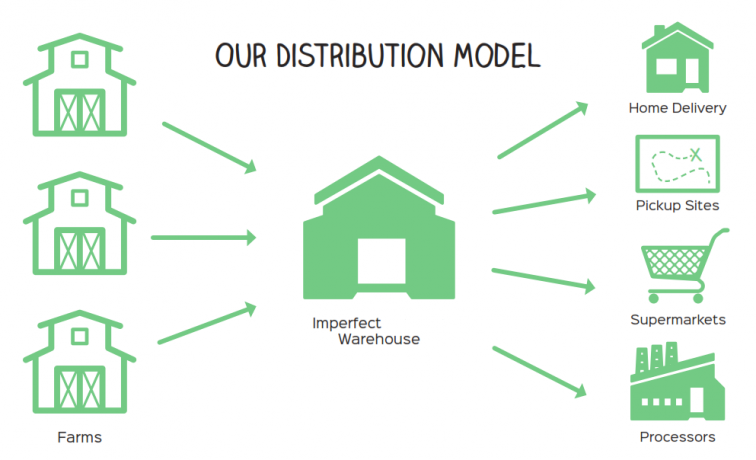 Finally, Imperfect also wants to deliver produce at special distribution points in the poorer parts of Oakland and other cities, where grocery stores with fresh produce are scarce. “We’re tipping the scale so that McDonald’s is no longer the most convenient, affordable option in food deserts — now, fresh produce is,” said the company’s co-founder, Ben Simon. If he’s right, then ugly food may just become a big new beautiful thing.